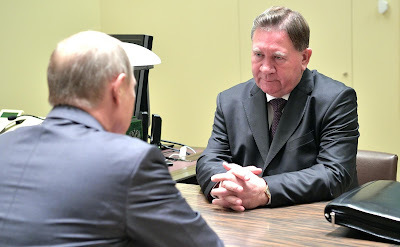 Vladimir Putin had a meeting with Kursk Region Governor Alexander Mikhailov to discuss the regional socioeconomic situation. The discussion between Vladimir Putin and Alexander Mikhailov concerned the industrial and agro-industrial sectors, as well as in healthcare and education. Special consideration was given to efforts to reduce the regional budget’s numerous debts. 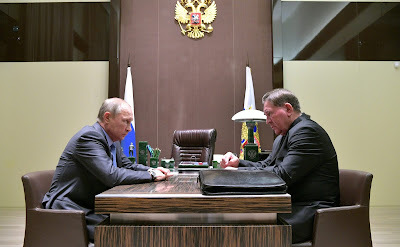 Vladimir Putin with Kursk Region Governor Alexander Mikhailov. Alexander Mikhailov told Vladimir Putin that the gross regional product has soared 2.2-fold since 2001–2002, with fixed-capital investment volumes increasing 3.5-fold since the early 2000s. The industry has been posting a 3–5 percent annual growth over the last 12 years. The region implements innovation and import substitution projects. In all, 41 industrial innovation projects are currently being implemented. The region is building the Kursk-2 reserve nuclear power station. The agro-industrial sector grew by 12.1 percent last year on 2015 and has posted a 6.5 percent growth between January and August of 2017 on the same period of 2016. The region ranks among the six best Russian regions in terms of volumes of grain production and is the second-largest meat producer nationwide. This year, the region will harvest over five million tons of beets and between 500,000 and 520,000 tons of sugar beet. The region is ready to export agricultural produce including the plant-growing sector. Alexander Mikhailov - Kursk Region Governor. Regarding the social sector, the region implemented a program for the sustained development of rural areas accounting for 35 percent of its population. The number of villages with 1,000 residents and more has increased. This means that such villages now have schools, good roads, power stations, plus cultural and healthcare facilities. The region has a proactive farming sector, with 1,340 farms posting an impressive and sustained performance. 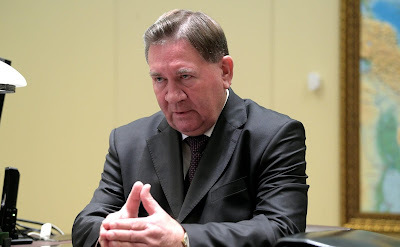 Alexander Mixailov at the meeting with President of Russia. Speaking on the subject of the social sector, the Governor underscored that the region would achieve parameters stipulated by the President’s May 2012 Executive Orders before the year is out. 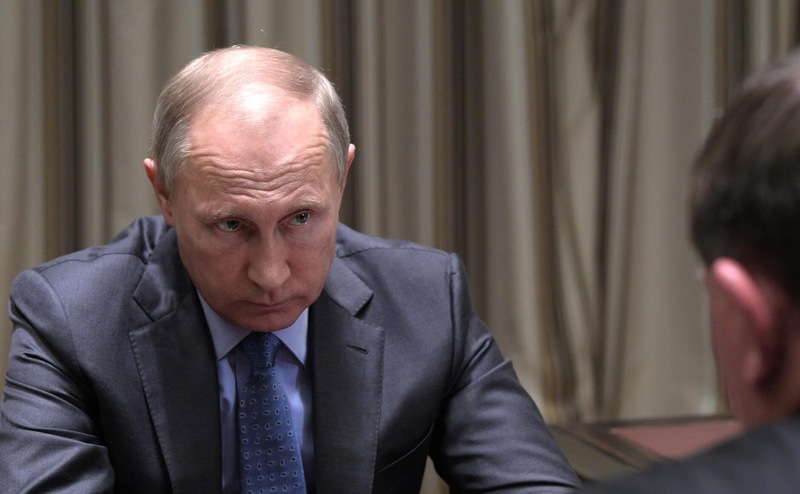 Vladimir Putin during meeting with Kursk Region Governor. They also discussed in great detail the consequences for Kursk Region of a proposed program to support regional finances, linked with the need to reduce the massive debts of regional budgets. Mr. Mikhailov noted cooperation with the Ministry of Finance on this issue and the efforts to replace commercial loans with budget loans that carry lower interest rates. 0 Comment to "Vladimir Putin met with Kursk Region Governor Alexander Mikhailov"